Calls on CFPB to continue protecting military servicemembers against predatory lenders under the Military Lending Act. New York, NY - October 24, 2018 - Attorney General Barbara D. Underwood today joined a bipartisan coalition of 33 Attorneys General calling on the Consumer Financial Protection Bureau (CFPB) and Acting Director Mick Mulvaney to continue protecting military servicemembers against predatory lenders under the Military Lending Act (MLA). The Attorneys General urge the CFPB to reconsider its reported decision to stop examining lenders to ensure they are complying with the MLA. The MLA, enacted in 2006, protects military servicemembers and their families against exploitative lenders and loans so that servicemembers aren’t overburdened with debt. The CFPB has the authority to examine lenders’ compliance with the MLA to detect potential risks to consumers and ensure that military servicemembers aren’t being offered illegal loans. This is especially important for younger servicemembers who have less experience managing their own finances and may be more vulnerable to predatory loans. Approximately 60 percent of military families report experiencing stress related to their financial condition. 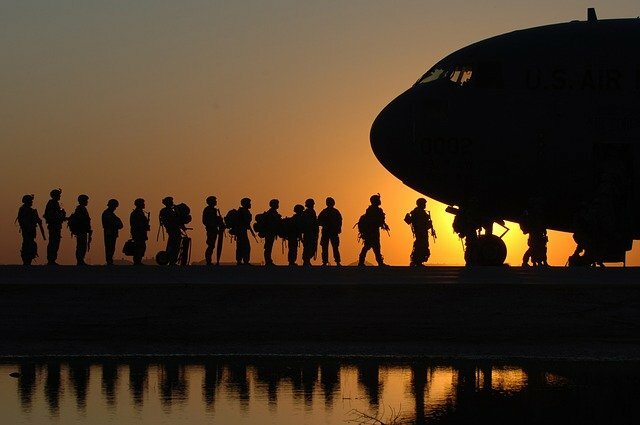 Servicemembers in financial distress may have their security clearance revoked and be compelled to leave the military, resulting in the loss of well-trained servicemembers and additional financial burdens for the military. The letter was sent by the Attorneys General of Alaska, California, Colorado, Connecticut, Delaware, District of Columbia, Hawaii, Illinois, Iowa, Kentucky, Maine, Maryland, Massachusetts, Minnesota, Mississippi, Nebraska, New Jersey, New Mexico, New York, North Carolina, North Dakota, Ohio, Oregon, Pennsylvania, Puerto Rico, Rhode Island, South Dakota, Tennessee, Vermont, Virgin Islands, Virginia, Washington, and Wyoming. Subject: LongIsland.com - Your Name sent you Article details of "A.G. Underwood Urges CFPB to Protect Military Servicemembers from Financial Exploitation"